The École polytechnique fédérale de Lausanne (EPFL; English: Swiss Federal Institute of Technology in Lausanne) is a research institute/university in Lausanne, Switzerland, that specializes in natural sciences and engineering. The Swiss Federal Institute of Technology complex has three main missions: education, research and technology transfer at the highest international level. EPFL is widely regarded as a world leading university. EPFL is located in the French-speaking part of Switzerland; the sister institution in the German-speaking part of Switzerland is the Swiss Federal Institute of Technology in Zurich (ETH Zurich). The Institute of Materials (IMX) is the hub of this discipline at EPFL, with sixteen laboratories. Research within the institute of materials of EPFL addresses materials across a wide spectrum of materials classes, aiming for applications ranging from modern bio- and micro-electronic devices, to automotive, energy and aerospace applications and also to biomedical or even recreational (high performance sports) applications. Hofmann Heinrich, Prof. Dr.-Ing. Studied Material Science and Engineering at the Technical University of Berlin. In 1983 he got his PhD in Material Science with a thesis prepared at the Powder Metallurgy Laboratory at the Max Planck Institute in Stuttgart. In 1985 he joined the R&D center of Alusuisse-Lonza Services AG, at Neuhausen-am-Rheinfall. He developmed new alumina, titania stabilized zirconia and silicon nitride powders for ceramic applications. 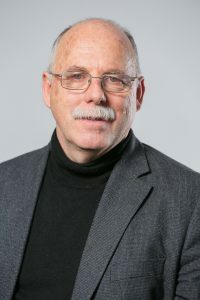 In 1993, he joined the Swiss Federal Institute of Technology (EPFL) as Professor and Director of the Powder Technology Laboratory at the Department of Materials Science and Engineering. His research area includes the synthesis of nanostructured materials based on nanoparticles and the modification of surfaces with nanoparticles using colloidal methods. He was strongly involved in establishing the graduate school in materials science at EPFL where he introduced new concepts for the teaching of PhD students. He is a cofounder of ANTIA Therapeutics, a company developing nanocomposites for cancer treatments. His publication list comprises over 170 publications in reviewed journals, 33 publications in proceedings, 8 books as a co-author and he is co-holder of 15 patents or patent applications.